Spaces in mainland Kolkata are shrinking with time. Hence, the popularity of the suburbs has emerged and more residential properties have come up in those places. Various peripheral areas of Kolkata have emerged as residential hubs and Sonarpur is one of the most popular one among them. The area is developing as the government and developers have garnered interest particularly for building residential townships with high rise buildings. 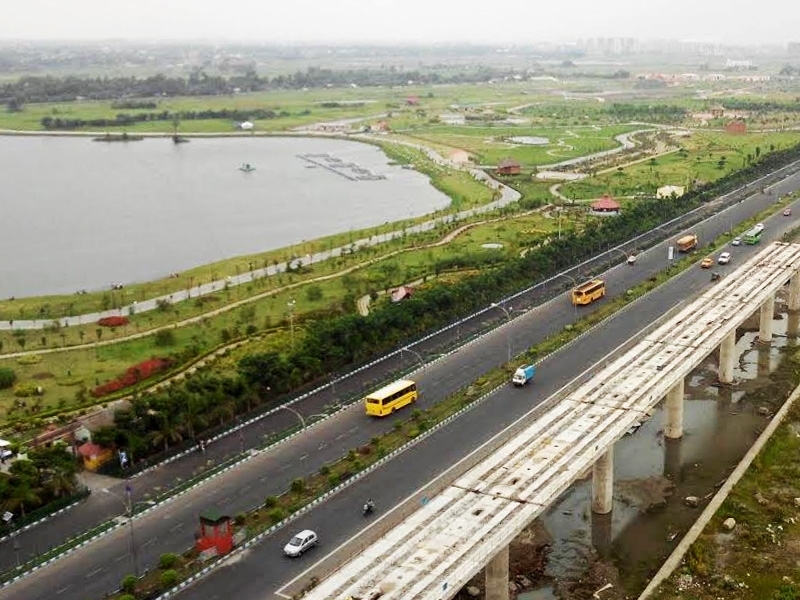 Real estate business owners have commented that due to excellent transportation facilities and connectivity, suburban areas like Joka, Baruipur, Rajarhat, B.T Road, Maheshtala, Howrah and Sodepur have come up as the hub for residential developments in the recent time. One of the major reasons for Sonarpur as one of the most developing locations for real estate development and investment is the extension of the metro railway line. Proximity to Garia metro makes the location rich in connectivity and convenience which is the foremost important factor for today’s busy life. Another reason for the development of Suburban region in the real estate market is the competitive price of the properties. This had led to the growing housing demands among the buyers of Kolkata and other parts of West Bengal as we’ll. Sonarpur in particular has witnessed a wide range of residential developments in the last few years. This is due to the major reason that Baruipur has been proposed to be the district head. Government of West Bengal has decided to shift the South 24 Parganas District Headquarters to Baruipur. It was earlier located at Alipur in Kolkata but government has proposed it to be shifted along with the development of township. It has been estimated that this progress will not only provide ease to the people of Sonarpur and other areas visiting the District Head Quarter from various remote places but will also act as a growth center in the Baruipur region. With the effort metropolitan decentralization can take place in the particular location. Hence, it can be rightly said that with the development, nearby Kolkata suburbs including Sonarpur can attain a substantial growth in its real estate market. Best investment opportunities can be forecasted with this plan proposed by Kolkata Metropolitan Development Authority (KMDA). Property in Sonarpur area is assured to yield much more than the present investment in the near future with the proposed development by the West Bengal government. 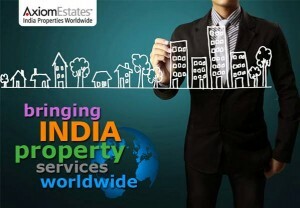 This entry was posted in Kolkata, Real Estate Marketing on February 17, 2016 by admin. Elita Garden Vista organised a Channel Partners function on 4th January 2016 at Princeton Club where Axiom Estates won the award for ” Total Sales 2014 – 2015 “. 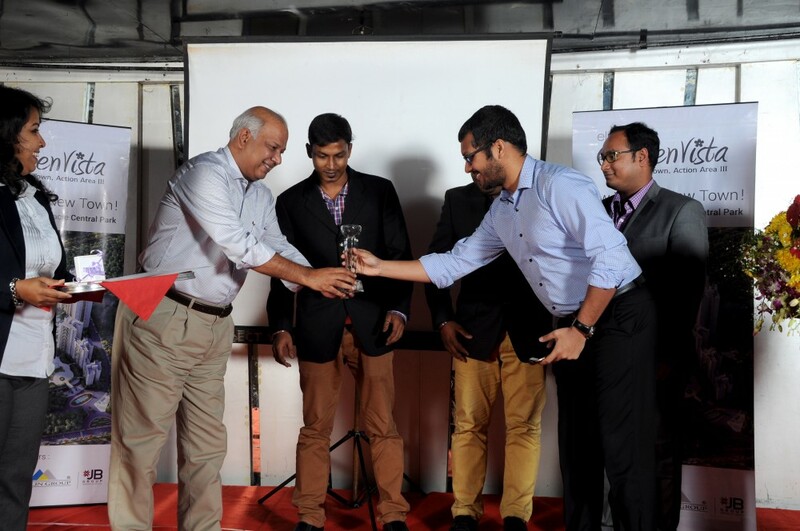 Accepting the award from Mr Prateek Sureka, Mr Sumant Goenka thanked him and the Elita management for the honours. The Awards ceremony was followed by Cocktail and Dinner. Sumant Goenka accepting award from Prateek Sureka at the channel partner function of Elita Garden Vista held in Princeton Club. Elita Garden Vista in Action Area III, New Town is a large development consisting of 16 high rise towers and over 6 acres of podium garden. It is a residential complex on 24.70 acres of prime land with new age residential club house fitted with ultra modern urban amenities &amp; facilities. This entry was posted in Cities, Kolkata, Real Estate Marketing and tagged buy apartment in kolkata, Elita Garden Vista, Real Estate Marketing on January 16, 2016 by admin.